Our friend out for a stroll on a sweltering hot day in July. He asked me what could be more elegant than Victorian dress? Er a cossa? 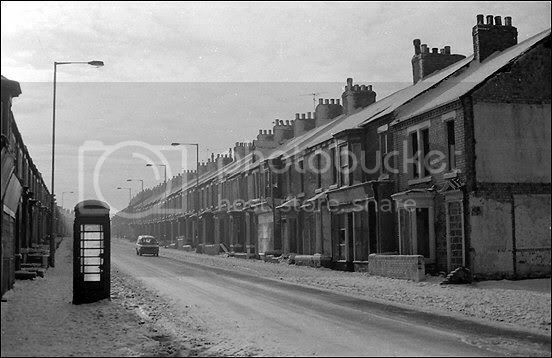 Winter in Frederick St at the time of the great demolition. The iconic (to me anyway) Station Hotel. 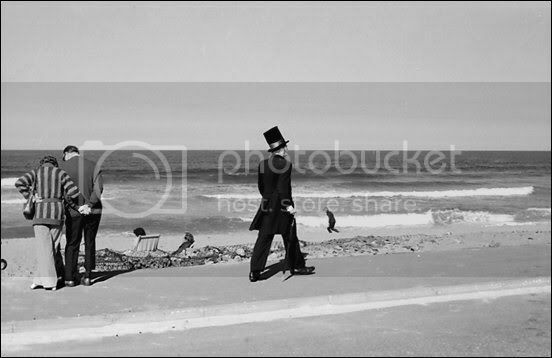 The Frederick Street photo, is that the Eureka end of the Adam & Eve end ? It is near the Eureka, just past it, looking down the street. Early '80s? Surely that part is "South Frederick Street" or very close to it. That's Olsen's pet shop and the paper shop a few doors up. The telephone box was used by my dad to summon the midwife when my brother and I were born. You would think that the picture had been taken from our back lane door! I actually was using a tripod and I still remember how cold it was that day. I went initially to photograph James Simpson Kirkpatricks house on the corner of Bertram St. but it was so miserable I waited a few days and returned when the sun was out. What memories came flooding back on recognising where I was born and lived for 21 years. Pattison's Ice Cream shop would have been the missing building, next shop Olson's and then immediately before the paper shop was Storey's shoe shop (in their front room). The paper shop, run for many years by John Briggs, was number 66 and we lived at 80, with Mrs. & Miss Pattison at number 78. Just to the right of the car you can see one taller wall. The Ramseys were rather 'secretive' and had the only tall wall in the street. And woe-betide us if our ball went over into their backyard. Often we didn't get it back! At the top of the block on the right side was Hugh Robson's cake shop. The first house past the shop on left side was where the Cracketts were the 'Provi' agents. (You were invited upstairs to complete the transaction and then it was off to Allens to spend the 'ticket'). Better not ramble too much, but thanks for the memory. a lot of forgotten information, keep it up. More please Gilly I love reading all such accounts. Because well to be frank I love reading and I love reading about such history. And I loved looking at all the old photographs as well. So thanks to one and all. 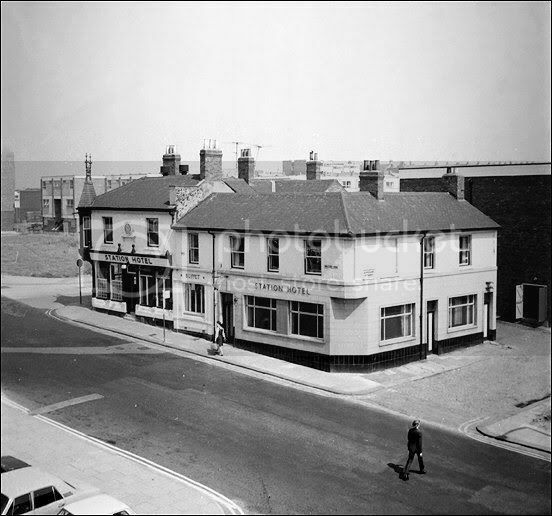 I lived at number 141 from about 1957 till 1966, that part is still there or it was the last time I was in Shields. There was a fish and chip shop about thirty yards down from us on the corner of Bertram St.